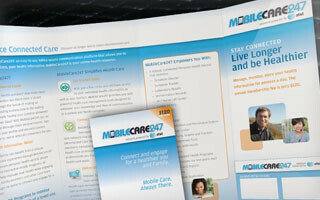 MCare247 Inc. is a Detroit, Michigan-based Health Solution provider. Mcare247 is a connected health solution they developed around iPhones and iPads designed to help consumers better engage with their family caregivers and health care professionals, offering mobile care management without the hassle of additional equipment fees or servicing. 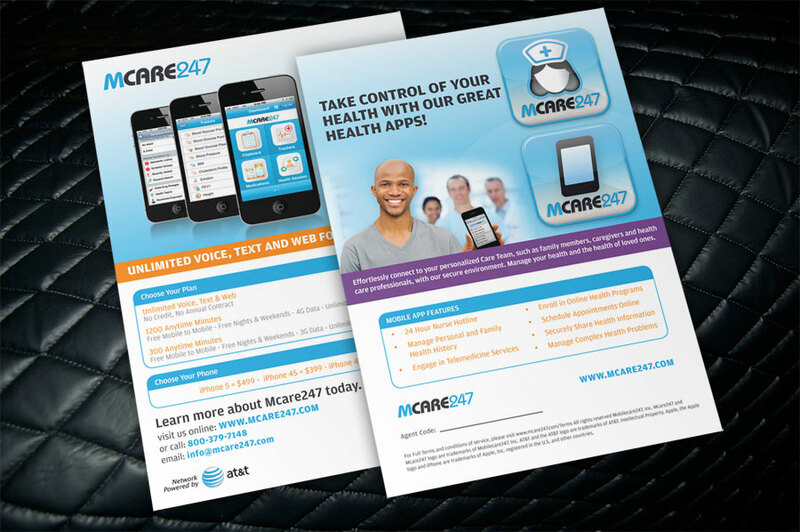 MCare247 hired us to do a full complement of marketing materials for their new product mobile phone program called Mcare247. 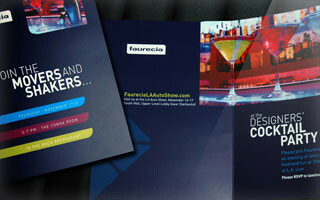 We designed a logo, website and a range of print materials. 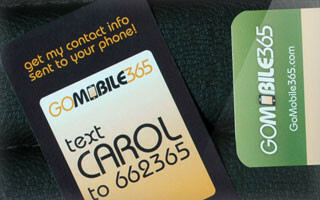 This flyer is designed to show the phones and service options available.